It is important to take care of puppy in as they can develop arthritis much earlier in life. When your dog is young he is active and keep jumping too high, running too hard and even over exercise . 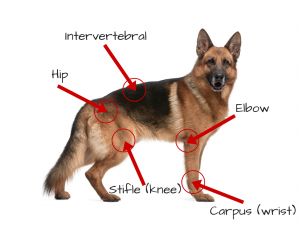 So at this point of time you need to supervise your pup, as the bone and the joints are not yet mature and they can get injured. Provide the environmental accommodations they need to prevent joint pain. For example: to get in and out of the car easily without jumping provide a dog ramp. Provide them a soft, comfy bed and which is low in height. It is recommended to treat any suspected injury as soon as possible to reduce or prevent joint problems as your dog ages. Dogs that have got serious injury such as fracture from being hit by four-wheeler, may need a special treatment and lots of care to heal it properly. It is essential to keep changing the diet needs as your pooch reaches other stages of life. If he is puppy, he may need a rich diet with full of nutrients. The diet may change after he grows from a puppy to adult dog, in the same way as he starts getting older. The reason to change the diet is that the adult dogs start gaining more weight, due to overfeeding and unbalanced diet. And the obesity can put stress on the joints and lead to arthritis making it painful to exercise and walk. To protect your dog from joint pain choose the correct diet and you can even add joint-supporting dietary supplements like Joint Guard and Natures Answer Glucosamine Chondroitin. 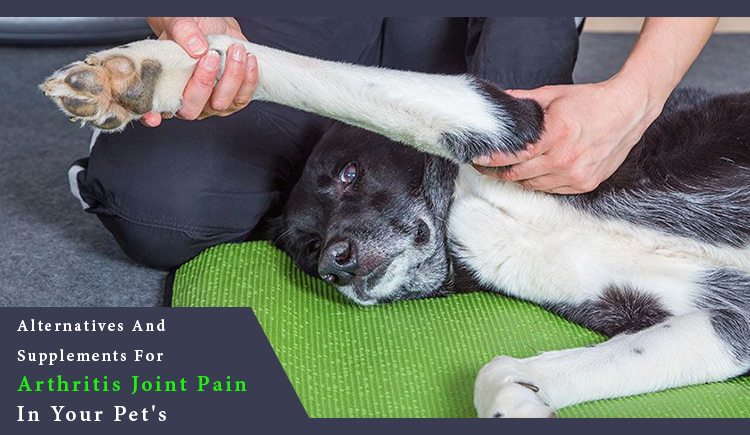 Joint Guard can be given everyday, it is highly beneficial for dogs suffering from symptoms of arthritis and related joint problems. It is easy to administer all the dogs and even the fussy eaters, as it doesn’t contain any taste or odor. Natures Answer Glucosamine Chondroitin is a dietary supplement for dogs, who is suffering from chronic pain and inflammation in joints. This will also help your pooch to lead a healthy life with healthy joints function with enhanced mobility and flexibility. Along with all the above points even this is the main thing to be scheduled in your dog’s everyday life. You should take him regularly for walks or play for an hour everyday. With this he will be active and maintain the weight. Try to give your dog gentle exercises to keep joints limber healthy. To make your furry pal feel more better, you can even provide him a heated bed or gentle massage each morning.